Roylin wants you to Own It! Roylin was born a creative problem solver. Whether be it was as Manager of Accessories at Nordstrom, Publisher for McGraw Hill California Construction, Regional Sales Manager at the Los Angeles Times, Lead Trystologist at Trystology, or REALTOR® at Berkshire Hathaway HomeService California, understanding what needs to happen, the unique needs of her clients, and providing the highest level customer service is all a part of being for Roylin. Her vision is to find homes, and create peace, love and passion for her clients. Buying a home can be the biggest investment a person makes in their lives. Having someone who understands this and handles it with professionalism, and helps you through each step of the home buying process is crucial to making it through the exciting and challenging process. 434 E. Main Street, Ste B, Ventura CA 93001 "Enter from Behind"
Started as Kama Sutra Closet in 2009, and changed to Trystology in 2014, the goal has remained the same, empowering women to own their sexuality and enhancing the relationship of couples. No judgement. 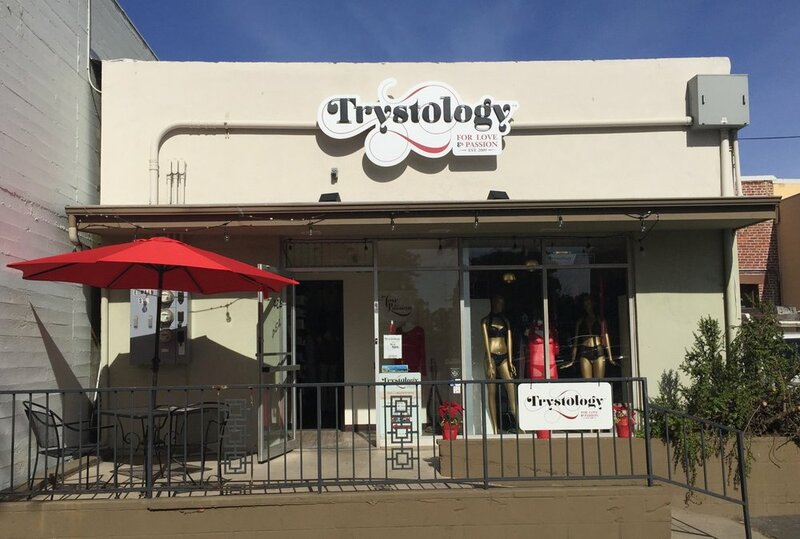 Whether it's shopping online, visiting our brick and mortar or attending classes, Trystology is here for all!